A Washington, DC native, Nizam has been working in his family’s historic restaurant, Ben’s Chili Bowl, since he was a child. Opened in 1958 on U Street by his parents Ben and Virginia Ali, it was there that he learned basic fundamental business principles including customer service, business and work ethics, and giving back to the community. Nizam attended the University of Virginia, where he received a B.A. in Sociology. Here, he fell in love with radio, deejaying on three different stations simultaneously. He also had internships at Washington’s WKYS, WHUR, and BET, which led to paid positions at the latter two stations. It was these experiences that Nizam would later call upon to help him market and publicize Ben’s. After college, Nizam spent the next year working at “The Bowl.” Looking for what he thought must be an easier career option, he began applying to law schools. Three years later, he received his J.D. from the University of Maryland School of Law; after passing the bar, he began practicing law in Maryland. A year later, Nizam began working with his family to plan and execute a 40th anniversary celebration for both Ben’s Chili Bowl and his parents. Seeing the extraordinary success of this event, Nizam rediscovered the love that so many people had for the Chili Bowl and decided to return full-time to Ben’s. Since then, he and his brothers Kamal and Sage, and their wives, have worked tirelessly to not only continue the legacy that his parents created, but to take Ben’s to the next level. Over the years, Nizam has been integral in the success and growth of the Ben’s brand. He co-owns Ben’s Next Door, Ben’s Upstairs, has helped open Ben’s Gift Shop, and mail order of Ben’s signature foods and merchandise across the country, and opened Ben’s Chili Bowl’s in Nationals Park, FedEx Field, Arlington, VA, H ST NE, and Reagan National Airport. Recently, he has help launch Ben’s retail products in 16 area Costco stores. Nizam’s other rewarding accomplishments have been the creation of a Ben’s Chili Bowl smartphone app, partnering with Cultural Tourism DC to open DC’s first neighborhood visitors center above Next Door, and co-authoring the book Ben’s Chili Bowl: 50 Years of a Washington DC Landmark. Additionally, Nizam worked hand-in hand with The George Washington University’s Gelman Library, to archive and preserve all of his family’s historic papers and Ben’s Chili Bowl artifacts. Of particular note, Nizam is very proud of his participation in the FBI Citizen’s Academy at the Washington Field Office and his stay on the USS Enterprise as part of the Navy’s Distinguished Visitor’s Program. 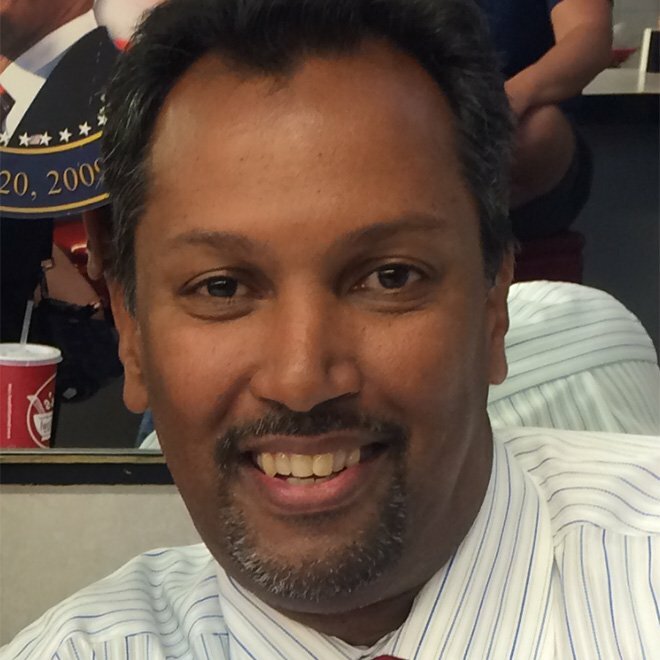 Nizam currently serves as a proud board member of Think Local First DC, is Vice Chairman of The Ben’s Chili Bowl Foundation, Vice-Chairman of Destination DC, and is a former board member of Teaching For Change. He has been happily married for 13 years and has a 12 year old son.